Thoroughbred Stud Fees -- Still Too High? The ceiling on Thoroughbred stud fees in the U.S. has fallen. We saw broad cuts last year, and it's shaping up to be an across-the-board slashing as we approach the 2009 breeding season. But have the reductions been too modest? If you sold yearlings in North America this year, you probably felt a pinch as the year-to-date average is down 5.8%, and the median a more troubling 13.3%. RNAs are up from 27% of all offered yearlings in 2007 to 31% so far in 2008. The state of the market is comprised of more than yearling numbers, of course, but they're a strong indicator of where the Thoroughbred bloodstock market stands. The fall mixed sales seem to be following suit, with decreases in average and median, and large upticks in outs and RNAs. So, the question is, "Are the newly-lowered stud fees low enough to allow breeders to make a profit?" My thought is that it's probably good that fees haven't plummeted further -- it will keep book sizes down and we really should have a smaller foal crop for the next few years. But as a breeder, I also know that any mares I send to the breeding shed this year will go only after I negotiate a price that's lower than the advertised rate. 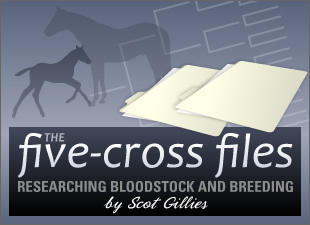 Even breeding to race, it doesn't make financial sense to overpay for a stud fee.